No matter what kind of business you’re in, there will always be projects that need to be done. The problem is that majority of those who are in charge of these projects aren’t able to manage every aspect that would ensure its completion. And when that happens, things such as employee effort and resource will feel wasted. You can also like financial analysis templates. So what one will need to do is to keep track of a project’s progress, as well as all of the factors which contribute to its completion. 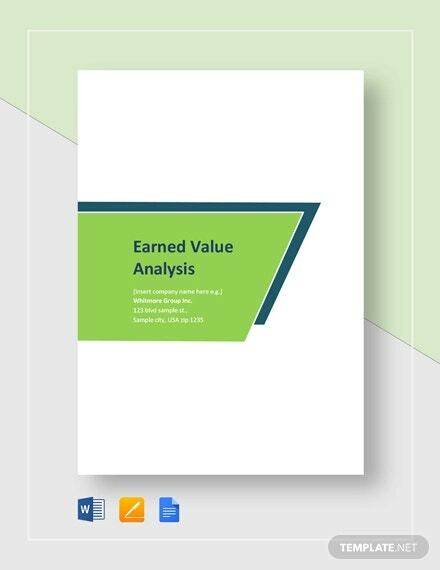 And that’s why this article is going to teach you how to do a earned value analysis. You may also check regression analysis templates. 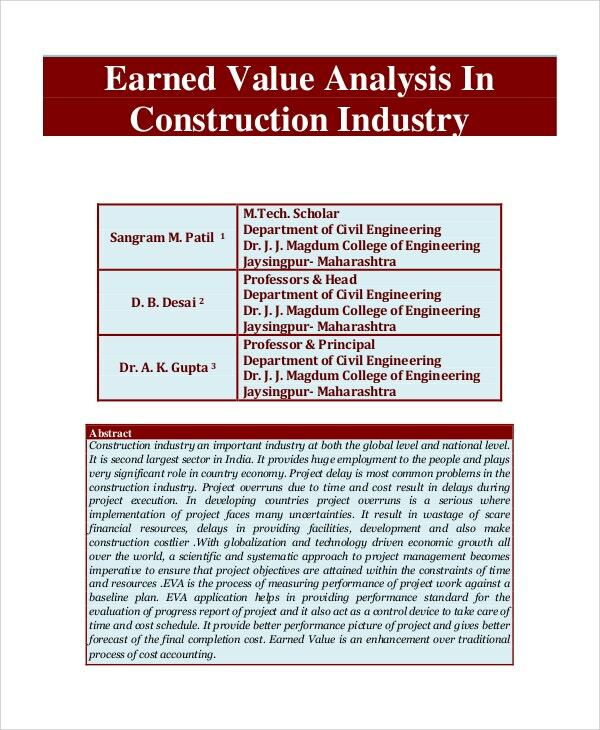 Take note that the entire point of doing an earned value analysis is so that you you are able to keep track of a project’s progression so that you are able to guarantee its completion. The act of analyzing will tell you everything from the project’s current state, the amount of work completed, if it’s on schedule, if it’s still within the budget and much more. It can even show you early warnings of anything that could possibly go wrong. You may also like cashflow analysis templates. 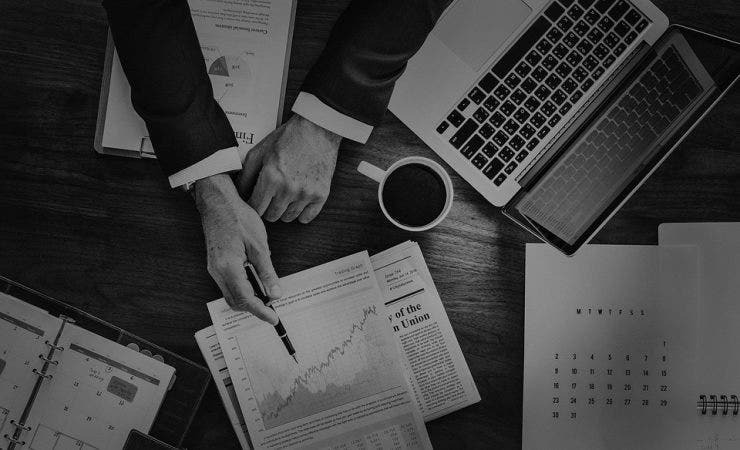 The more information you are able to obtain, the better it will be for you in ensuring that the project is done in the way that it’s expected, and that that the project is able to yield the expected results. You can also notice case analysis templates. The first step that you will need to take when doing this type of project is for you to know everything there is to know about the project. That means that you’re going to have to learn about all of the different tasks that has to be done in order for the project to be completed. This is vital as you’ll have to check on all of these tasks so that you are able to determine what items are going to be needed and the amount of time it’s going to take to finish the project. You may also like organizational analysis templates. So make sure that you are able to list down all of the different tasks so that it will be much easier for you to keep track of all of them. Once you’ve managed to collect information on all of the different tasks that needs to be done, the next step is for you to learn all about the people who are in charge of handling them. It’s vital that you know who is assigned to take care of what as you will also be keeping track of them. That way, you will be able to observe as to whether or not these people are meeting expectations, as well as if they’re following proper procedures and policies. You may also see risk analysis templates. So what you’re going to have to do is to write down the names of these people, the roles that they have been assigned to, and the specific tasks that they are in charge of doing and completing. Make sure that you write down their complete names and that you don’t make any mistakes when writing down whatever it is that they’re supposed to be doing. You can also like company analysis templates. When you’re done listing down the tasks and the people who are meant to handle them, you must then proceed to seeing where the project is in terms of progress. The reason as to why you’ll need this information is because it will tell you if the project is going to finish on time, or if it’s still further away from completion. Whether it’s nearer or further, it will help you make decisions on what it is that you and your employees can do just to ensure that the project is done by the time it’s expected. 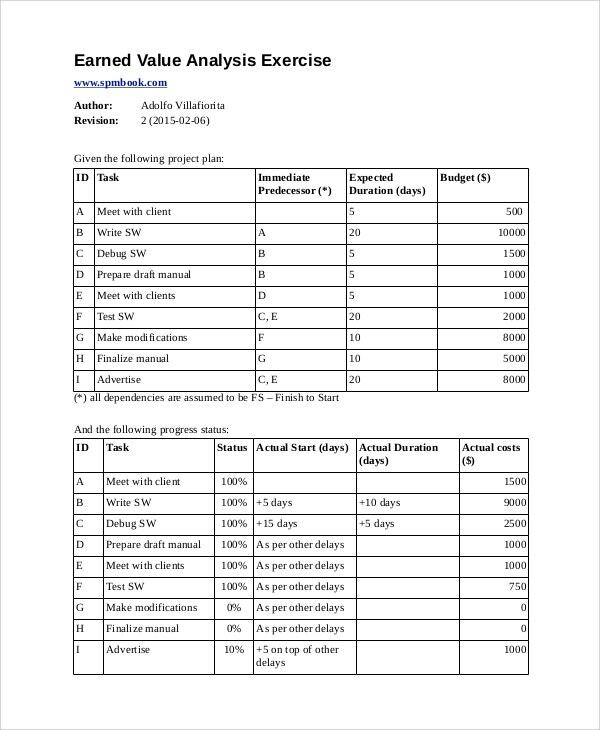 So what you will need to do first is to take a good look at the project schedule. See what tasks has to be done at the time of your inspection. Then go to each tasks’ assigned employees and gain information about what has already been completed. Hopefully your employees are on schedule, even better if they’re ahead of it. In the event that they’re lagging behind, then you’ll want to understand why that is so that you can come up with the solution to get things back on track. Next is to see what kind of resources are going to be used and what has already been used for the different tasks of the project. You’ll want to know because it will tell you if those who are assigned to the project are using what they’re supposed to, if they have what they need, and to give you an estimate on how much it will take to obtain what the project needs. You can also see break even analysis templates. So first, you must look into each task and see what each of them require in order for them to be completed properly. 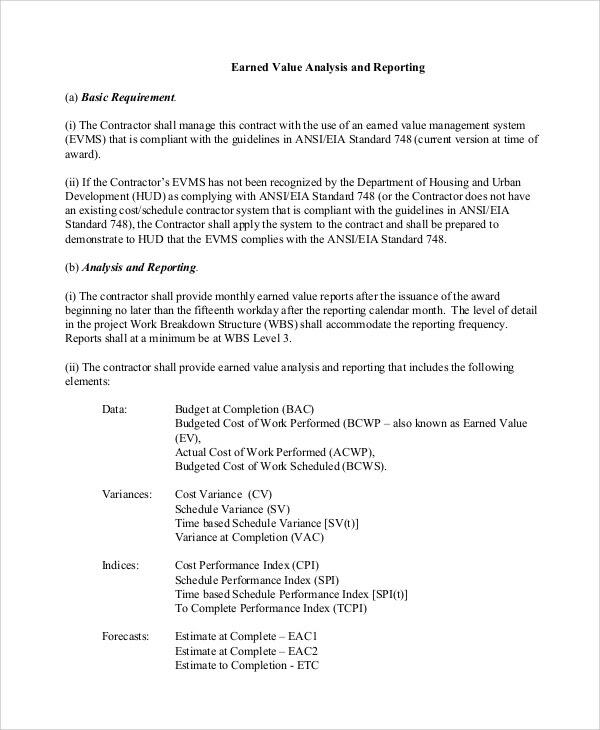 Then you must take a look at the resources that the assigned employees are using. If it’s clear that certain materials were not used during previous tasks that have already been completed, then it’s possible that they may just have to be repeated. This is especially true if the lacking resources are vital in ensuring quality maintenance. You may also check job safety analysis templates. Then you’re going to have to see if there’s anything that these employees are going to need but do not have. For example, let’s say that the project has yet to start. You know that it’s going to be a construction project and that the employees will be dealing with many hazardous equipment and materials. While you already have most of what you need, these employees have yet to obtain safety equipment that will keep them from harm. So in this situation, you’re going to have to ensure that you know what specific equipment is needed, as well as making sure that you are able to obtain all of them. You may also like impact analysis templates. When you’ve realized what the business project is going to need, the next step is for you to take into account exactly how much funds will be needed to acquire them. Not only that, but you should also consider all of the other needs of the project such as labor fees or even transportation charges. It’s important that you take all of those into account as you want to make sure that your business has the budget to afford everything. Because let’s say that you aren’t able to afford certain essential materials due to the budget. Knowing that, you can come up with alternatives that are cheaper yet effective enough to act as a replacement. You may also see marketing analysis templates. Best that you find out as to which expenses you can cut and replace or which you can remove altogether rather than blowing through the whole project budget. 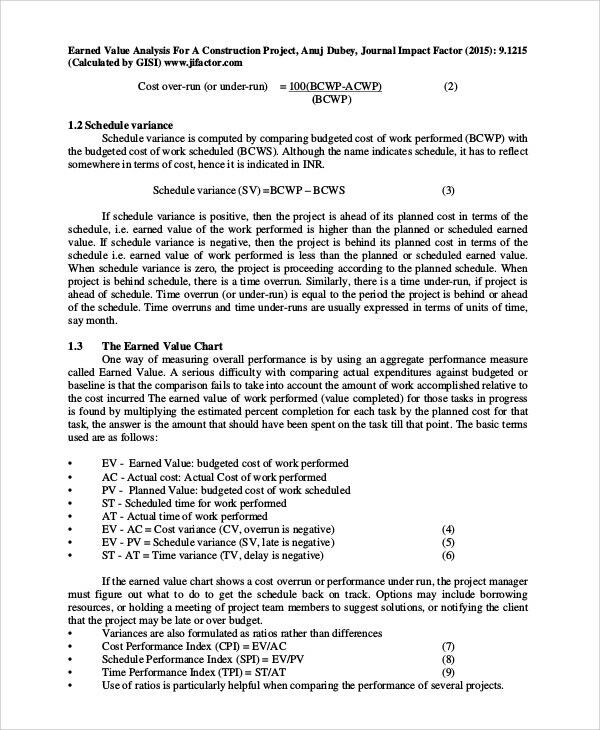 So when doing this part of the analysis, you’re going to have to create a list of all the expenses that need to take place during the project. Point out which ones are the necessary expenses, and which of them are ones that you can remove outright. Make sure that the ones you do happen to cut are not important at all to the completion of the project. You can also notice situation analysis templates. No matter what kind of project needs to be done, there will always be risks that are going to be involved. It’s the number of risks that can tell you as to whether the project should continue, or if the dangers are too great to the point where the project shouldn’t even begin. If it’s the former, then you should still take note of all these risks to ensure that both you and the employees involved in the project will know exactly what needs to be avoided and/or prevented. You may also see customer analysis templates. Be sure that you write them all clearly when placing them in the analysis report. That way, everyone will be aware of the dangers within the project. Once you’re done figuring out all of the possible risks involved, then the last step is for you to come up with the means in which you and your employees can prevent and/or avoid them. Take note of what it is that’s needed in order to stop these risks from becoming an issue and from stopping the project altogether. Be sure that you find the most cost-efficient and effective solutions, and ones that can guarantee the safety of your employees. You can also check project analysis templates. Make sure that you write these methods down in full detail so that everyone reading this section will know exactly what needs to be done to avoid and prevent these risks. In the event that you would like to learn how to do other types of analysis, then all you have to do is to go through our site. It has many different articles that should be able to provide you with what you need. Just be sure that you are able to read these articles thoroughly so that you can make the most out of the information that they contain. You may also see sales analysis templates.